Oh my gosh, he is too cute! What a mush! I, of course, think they're awesome. But, I've been told that these weren't meant to be a favorite face... more like a snapshot of the situation: he's fixated on something: here's what we're doing while you're at work. 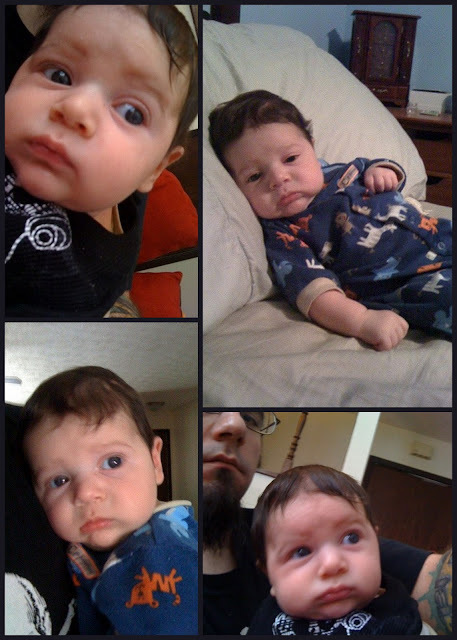 So, look for "Captured by Dad v2.0" where his dad actually pics out the pictures. Teeheehee, what a sweety. New to your blog - I love it! I have a little boy who was born on the 31st of December. I read your birth story too!